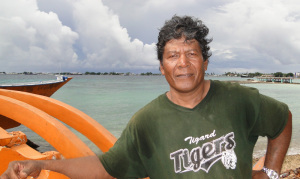 Alson’s many achievements relating to canoes includes writing and compiling the following: Traditional Canoe and Canoe Model Building Workbook, English version; Traditional Canoe and Canoe Model Building Workbook, Marshallese version; Canoe and Canoe Model Building Manual, English version; Canoe and Canoe Model Building Manual, Marshallese version. 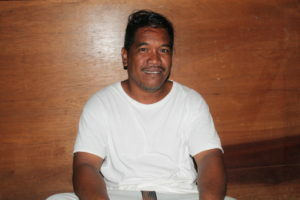 Tony Alik grew up in Jabor, Jaluit and currently resides in Ajeltake with his wife Sallyann. 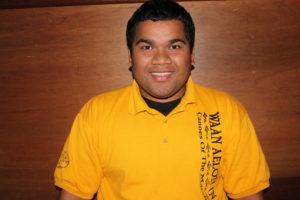 One of the newer faces to the WAM family, on March 1, 2019, Tony officially became the Associate Director at WAM after several months of training under the tutelage of Executive Director Alson Kelen and outgoing Associate Director Tamara Bowman. Prior to WAM, Tony worked in the translation field for well over a decade, and for the latter part of those years as an office manager and translation trainer. 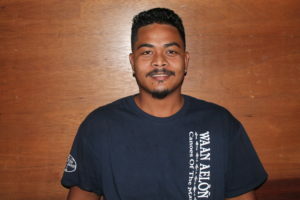 Beersheba Robert, a recent graduate from the College of the Marshall Islands with dual degrees in both Liberal Arts and Business, joined the WAM family in November 2018. 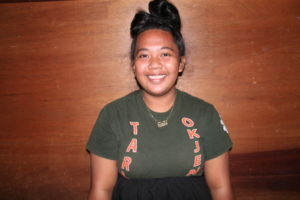 “Sheba” is from the nearby Arno Atoll and is tasked with the enormous responsibility of being the financial officer for WAM, and with the help and training of out-going Associate Director Tamara Bowman, she has managed to adjust to just fine. Isocker was one of the original trainees during the early years of WAM. He successfully completed his WAM training and earned a Certificate of Completion in the Waan Aelon in Majel Program. A gifted craftsman, this former student turned teacher joined WAM in 2006 as a trainer and overtime became the lead trainer for WAM’s vocational program. Aside from WAM’s vocational programs, in partnership with the Ministry of Natural Resources and Commerce, Isocker has trained numerous people from the outer islands and Majuro in logging local wood and operating and maintaining saw-mills. Raynold has been a “emmaan in lojet” (man of the water) for as long as he can remember. 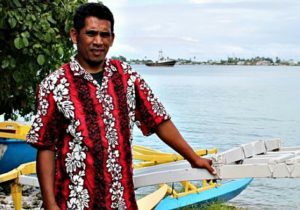 Raynold is widely recognised in his hometown of Laura, Majuro as an exceptional fisherman and survivalist. A recent addition to the WAM family, Raynold has been undergoing daily training with Isocker and Binton in regards to logging local woods, carving, and other necessary skills which will equipped him as a trainer. Raynold looks forward to helping the trainees with traditional life-skills that he use in his daily life such as traditional fishing skills and other survival methods. 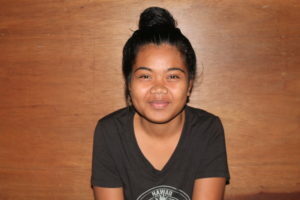 Rosan Karben Bartolome, who is the female counselor at WAM, is a recent graduate of CMI and is from Ebeye, Kwajalein. Rosan joined the WAM family in June 2018. Sealend Laiden is originally from Ailinglaplap and his clan name is Kalo. Sealand graduated from the College of the Marshall Islands on May 21, 2016 with an Associate degree of Arts in Liberal Arts. A former CMI Peer Educator, Sealand started his career as a Life-Skills and Substance Abuse Counselor at WAM on August 3, 2016 and recently became a Regional Certified Prevention Specialist. 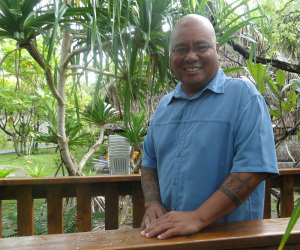 Working at WAM offers Sealand a unique opportunity to expose his true potential in providing assistance to youth in the Marshall Islands.